Ventuer Center’s resident incubatee and BIRAC-BIG grantee KBCols Sciences Pvt. 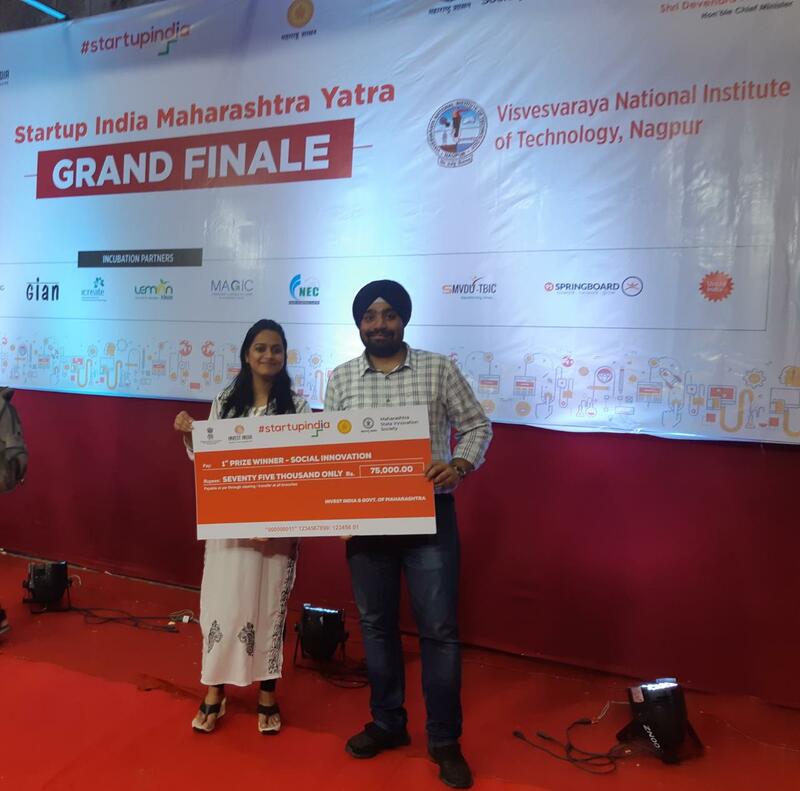 Ltd. has won first prize in social innovation category at the Start-up India Maharashtra Yatra. WeInnovate Biosolutions Pvt Ltd a resident incubatee of Venture Center received ISO 13485:2016 certification for development and manufacturing of their product. 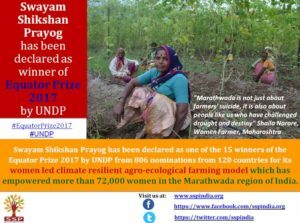 Venture Center graduated incubatee Swayam Shikshan Prayog has been declared as one of the 15 winners of the Equator Prize 2017 by UNDP from 806 nominations from 120 countries for its women led climate resilient agro-ecological farming model which has empowered more than 72,000 women in the Marathwada region of India. Venture Center incubatees Nilay Lakkhar of Synthera Biomedicals Pvt Ltd, Geethanjali Radhakrishnan of Adiuvo Diagnostics and Amrita Sukrity of Spot Healthcare Solutions Pvt. Ltd. has been shortlisted for BIRAC-Ignite 2017 Fellowship. The shortlisted BIRAC-Ignite Fellows for 2017 can attend the one week Bootcamp “Ignite” organized by CfEL at the Judge Business School, Cambridge University, UK followed by an additional week of training by CfEL. 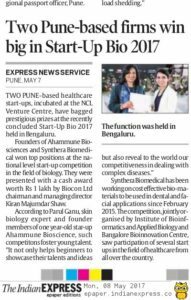 Venture Cenr’s resident incubatee “Ahammune Biosciences Pvt Ltd” won 1st prize in the Pitch Fest event under Small molecules, Biologics and Biotech category at Start Up Bio 2017 in Bangalore. The company received a certificate and an award of Rs. 1 lakh. The event was held on April 25-26,2017 and was organized by Institute of Bioinformatics and Applied Biotechnology (IBAB) and Bangalore Bioinnovation Centre (BBC). Venture Center’s associate incubatee startup “Omix Labs & Diagnostics Research Center” was one of 30+ companies invited to the Pitch@Rashtrapati Bhavan on March 7, 2017. The event was organized by the President’s office as part of a week being celebrated at Rashtrapati Bhavan as “Festival of Innovation”. 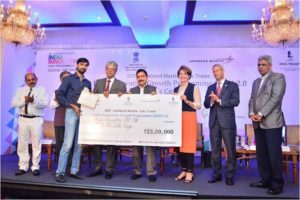 The startup companies had the opportunity to interact with a dozen Venture Capital firms that were also invited to the event and to present their company and were felicitated by the President of India. Also in attendance were the Minister of Skills Development and Entrepreneurship and the CEO of Niti Aayog. OmiX Labs was nominated and partnered by Villgro to this event. 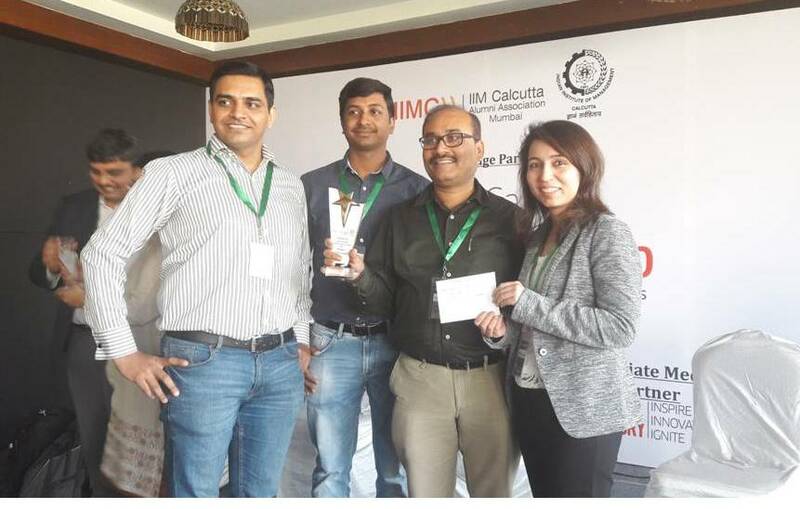 Ahammune Biosciences -A Venture center resident incubatee wins “Most promising startup team of the year award” at Clarion Call 2.0 organised by IIM Calcutta Alumni Association. 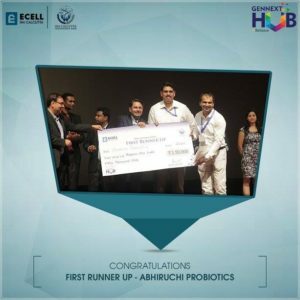 Venture Center’s resident incubatee “Abhiruchi Probiotice Pvt Ltd” won 1st runner-up award at “Ideas to Implementation 2016-2017” at IIM Calcutta. Ideas to Implementation, popularly known as I2i is an International Business Plan competition which endeavours to provide an ideal platform for budding entrepreneurs to realize their dreams by making them connect to ideas, fund and people who matter. 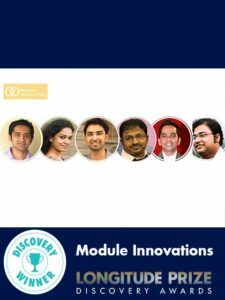 Prospective winners get the golden opportunity to win cash prizes worth 4.5 lakhs and Incubation support at IIM Calcutta Innovation Park. Venture Center’s resident incubatee “Swasti Agro & Bioproducts Pvt Ltd” is selected as one of the three finalists for “Time India Startup Sustainability Pioneer of the Year” award. Time Inc. announced the Time India Award finalists at a special panel discussion event “The Digitization of India” at World Economic Forum in Devos, Switzerland on 17th January 2017. Venture Center’s resident incubatee “Green Pyramid Biotech Pvt. Ltd.” became the top Indian winner and was awarded a prize amount of INR 10 Lakhs at the Academia Industry Training (AIT) Cycle 3 jointly organized by Department of Science and Technology (DST), Swissnex India and Society for Innovation and Entrepreneurship (SINE, IIT Bombay). 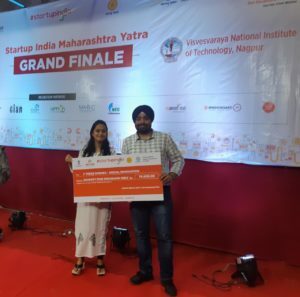 Venture Center’s resident incubatee “Abhiruchi Probiotics Pvt Ltd” and associate incubatee ” Swasti Agro & Bioproducts Pvt Ltd” got selected in 8 ventures for National round from Pune, in the National pitching round at Startup India Rocks supported by CBA Ventures . These companies were selected from 48 applicants from Pune and adjoining area. Mr. Tanuj Gigras of Nayam Innovations Pvt Ltd and Dr. Sudeshna Adak of Omix Diagnostics & Research Labs Pvt Ltd has been shortlisted for BIRAC-Ignite 2016 Fellowship. 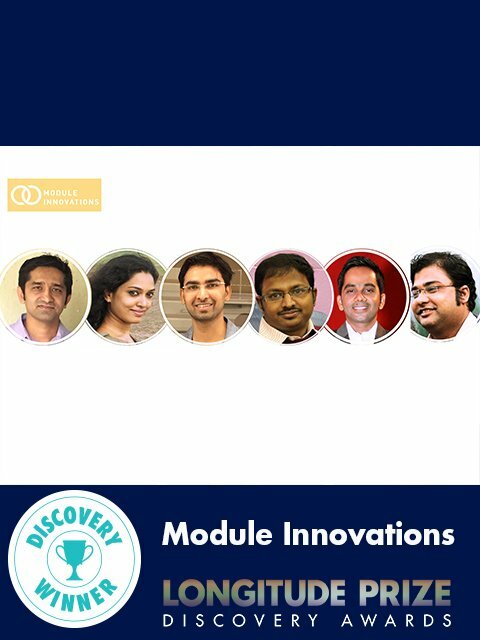 The shortlisted BIRAC-Ignite Fellows for 2016 can attend the one week Bootcamp “Ignite” organized by CfEL at the Judge Business School, Cambridge University, UK followed by an additional week of training by CfEL. 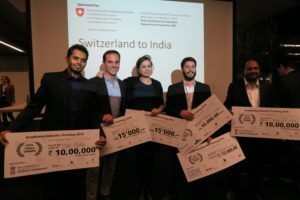 Biolmed Innovations Pvt Ltd, a Venture Center’s resident incubatee company got selected in top 10 AIT swissnex competition. About AIT SWISSnex: Academia Industry Training (AIT) is an initiative under the Indo-Swiss Joint Research Program (ISJRP) where the Swiss government body CODEV and Department of Science and Technology India (DST) mandate swissnex India and SINE (IIT Bombay) to run a one week startup training program for high-tech researchers from Switzerland and India. After the Indian CAMP during February 2016, the same group of 20 Indian and Swiss researchers then undergoes a week long training program in Switzerland during April 2016. 1) Swasti Agro & Bioproducts Pvt Ltd , associate incubatee of Venture Center has won the Millennium Alliance Award in “Agriculture” category with the first ranking. They will be eligible for an award amount of half a million dollar. Venture Center’s associate incubatee “Cellzyme Biotech” has won Elevator Pitch Competition (EPC) award at Massachusetts Institute of technology – Global Startup Workshop, MIT GSW 2016 held in Hyderabad. 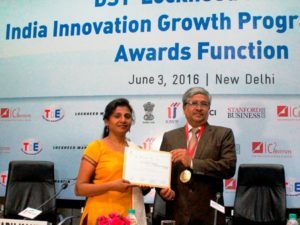 The award was presented to Cellzyme on 23 March 2016, by Dr. R. Chidambaram, Principal Scientific Advisor to Government of India. Venture Center’s associate incubatee “Swasti Agro & Bioproducts Pvt Ltd” won the award in category “Good for India” in Subcategory “Agriculture”. 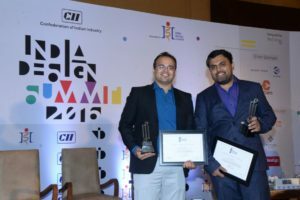 In its second edition, the Times Network Digital India Summit garnered overwhelming response and support from all stakeholders, and to bolster the path-breaking endeavor further, the network presented the first ever Digital India Awards 2016 which recognized and honored the tenacious efforts by individuals and organizations in the social and corporate world that are harnessing the power of IT to transform business processes, improve delivery of public services and create a positive impact on society. 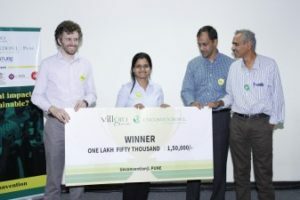 Venture Center’s SIIP Fellow Ms. Amrita Sukrity became the pitch winner and received a cash prize of Rs 1,50,000/- at the Villgro’s Unconvention|L event held on March 12, 2016 at the MCCIA Trade Tower. 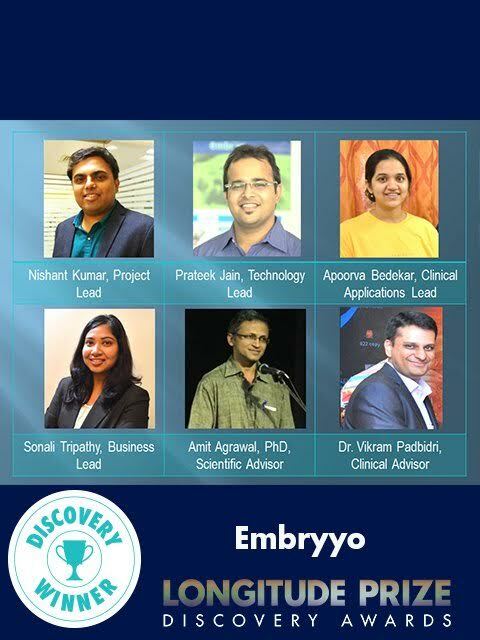 Venture Center’s resident incubatee ” Embryyo Technologies Pvt Ltd” has been selected for showcase at the Rashtrapati Bhawan during the ‘Festival of Innovations’. The company will be showcasing their drug adherence monitoring technology called “TBCCTV Real time drug adherence monitoring for tuberculosis patients”. The showcase is hosted by ICMR. 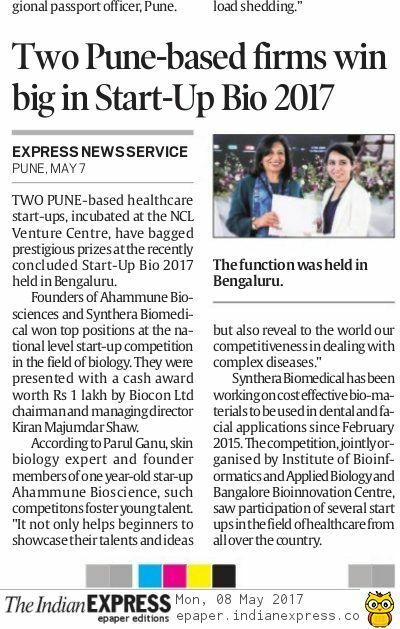 Venture Center’s associate incubatee “Cellzyme Biotech Pvt Ltd” has won the Bio-Excellence Award 2015 : Emerging Company of the year, under the BioIndustrial category at Bio-Excellence Awards Function of Bangalore INDIA BIO. 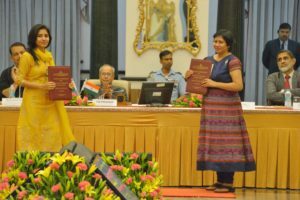 The Bio-Excellence Awardees are selected by a Jury of Industry Experts, constituted by Association of Biotechnology Led Enterprises (ABLE), the trade body of the Biotechnology sector. The Award was presented to Cellzyme in the presence of an august gathering of over 600 Delegates consisting of Biotech Industry Captains, Policy Makers and Scientific Fraternity on Wednesday, 10th February, 2016 during the Bio-Excellence Awards Function of Bangalore INDIA BIO at The Lalit Ashok, Bangalore. 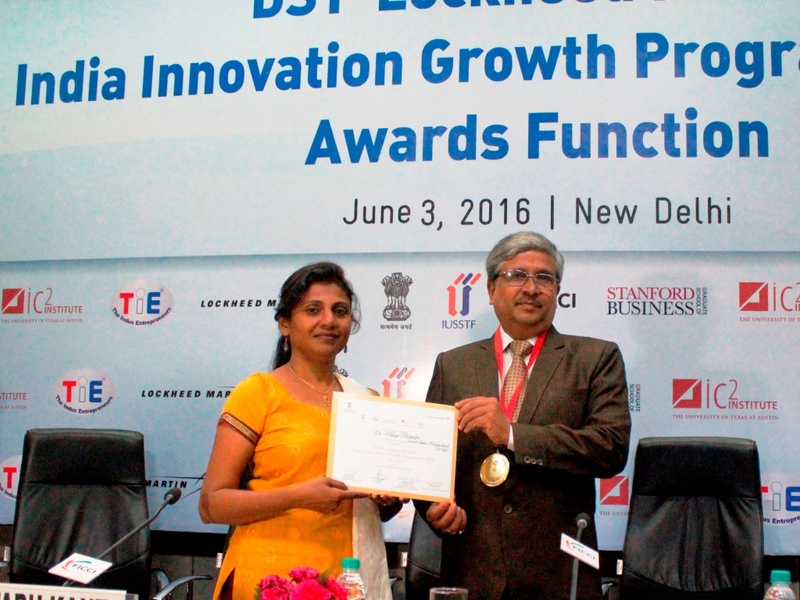 Venture Center’s associate incubatee company “Swasti Agro & Bioproducts Pvt Ltd” won The Economic Times Power of Ideas 2015. The Economic Times Power of Ideas, India’s largest entrepreneurship program encourages anyone and everyone with a business idea to realize his entrepreneurial dream. Whether a year-old garage operation, or someone who has just begun working towards a prototype, or even if an entrepreneur has been nursing an idea but haven’t yet put it in words, this program is for them. This year, The Economic Times (ET) is hosting the program in association with Jio, the Department of Science & Technology (DST), Government of India and the Centre for Innovation, Incubation and Entrepreneurship (CIIE), IIM Ahmedabad. Swasti Agro received a grant prize of Rs 2,00,000/- and will get a chance to present to the investment committee for seed funds and cash grants in a corpus of Rs 6.2 crore and 20 crore of ad funding from brand capital’s incubator capital. 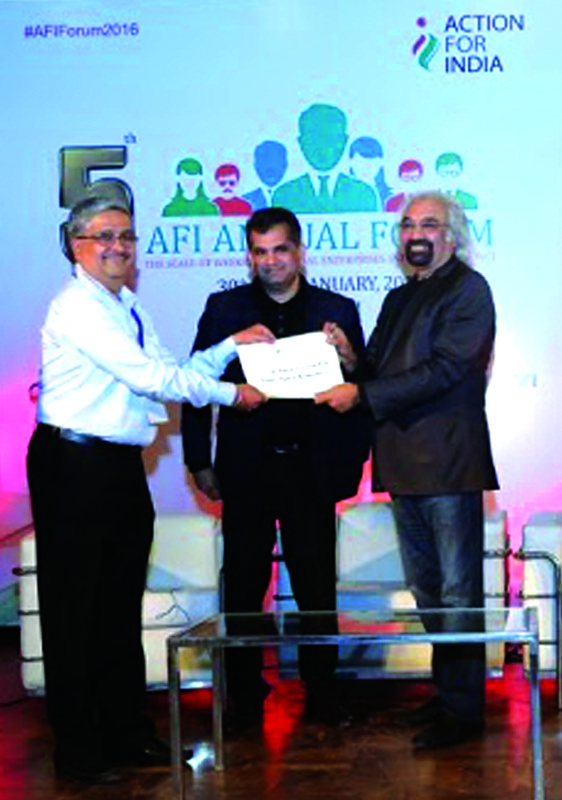 Venture Center’s associate incubatee “Swasti Agro & Bioproducts Pvt Ltd” won award at the Action For India (AFI) Annual Forum 2016. At Action For India’s upcoming Annual Forum, one can be very sure to meet 199 people who want to help scale up the impact of social enterprises. Since its inception four years ago, this unique, Invite only gathering of 100 social entrepreneurs and 100 key influencers (investors, tech gurus, mentors, IAS officers and others) has been a launch-pad for fruitful collaborations in the social enterprise space. Jeevtronics Pvt Ltd, a Venture Center resident incubatee, won second prize in the Tata Social Enterprise Challenge at IIM Calcutta. 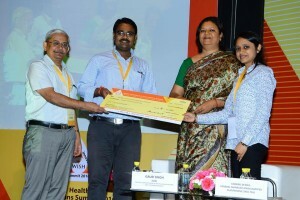 Jeevtronics has been awarded a cash grant of Rs 2 lakhs. Social entrepreneurs identified through the competition are offered mentorship support, awarded cash grants and have an opportunity to pitch for funding and incubation at IIM Calcutta. Venture Center’s associate incubatee “Swasti Agro & Bioproducts Pvt Ltd” is shortlisted as one of the participants of “AFI 100” forum. 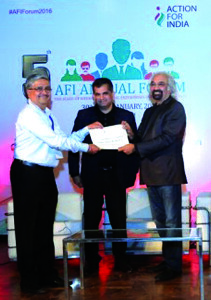 Action For India (AFI) is a non profit organization that helps India’s social enterprises address their challenge by providing them with access to technology, investors, mentorship, government agencies, local partners and business development support. The Action For India’s Annual Forum is an unique initiative that invite only gathering of 100 social entrepreneurs and 100 key influencers (investors, tech gurus, mentors, IAS officers and others) has been a launch-pad for fruitful collaborations in the social enterprise space. So, here is an opportunity to get the world to back innovators in realizing their enterprise’s true potential. Cellzyme Biotech Pvt Ltd, an associate incubatee of Venture Center has been selected for the FICCI R&D Catapult (StartUp)Awards 2015. The annual FICCI R&D Awards recognizes research outcomes from organizations that has been at the forefront of creating domestic capabilities and making the country self-reliant. The Award has been conferred during the Inaugural Session of the Global R&D Summit 2015, scheduled at 10 AM on 7th December, 2015 at Vigyan Bhawan, New Delhi. The Inaugural Session is graced by Shri Nitin Gadkari, Hon’ble Union Minister of Road Transport & Highways and Shipping, Government of India, Shri Y. S. Chowdary, Hon’ble Minister of State for Ministry of Science & Technology & Earth Sciences, Government of India, amongst other luminaries. 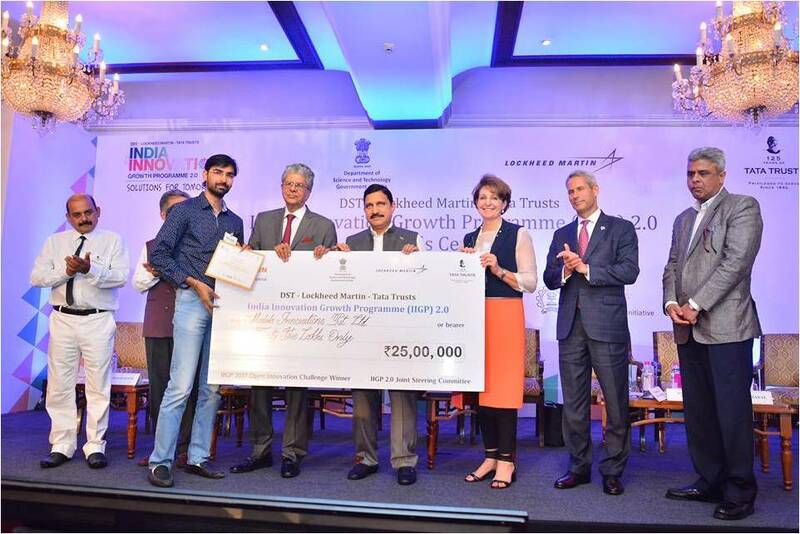 Dr. Abhay Shendye of Swasti Agro & Bioproducts Pvt Ltd, an associate incubatee of Venture center won the Vodafone Mobile For Good India Award in the area of “Agriculture & Environment”.